Episode 93 includes a series of short interviews that KWL Director, Mark Lefebvre conducted at the 2017 When Words Collide conference in Calgary, Alberta. Mark speaks with authors Robert J. Sawyer and C.C. 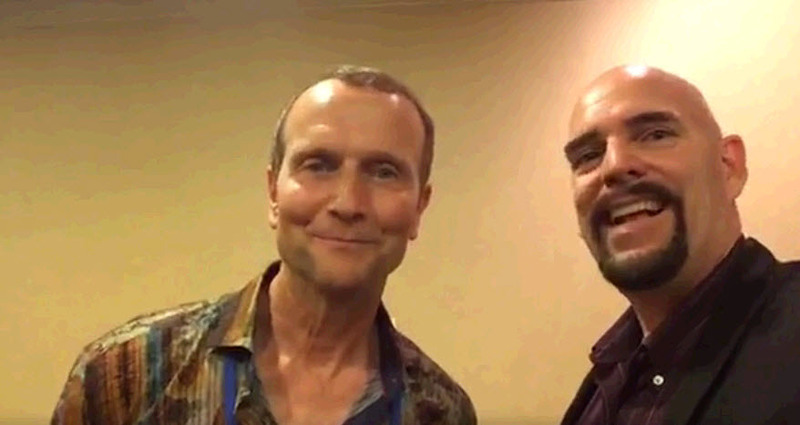 Humphreys as well as marketing consultant Mickey Mikkelson about digital publishing, global eBook pricing, author promotion strategies and successful author readings. Robert J. Sawyer — called "the dean of Canadian science fiction" by The Ottawa Citizen and "just about the best science-fiction writer out there these days" by The Denver Rocky Mountain News — is one of only eight writers in history (and the only Canadian) to win all three of the science-fiction field's top honors (the Hugo Award, the Nebula Award and The John W. Campbell Memorial Award) for best novel of the year. 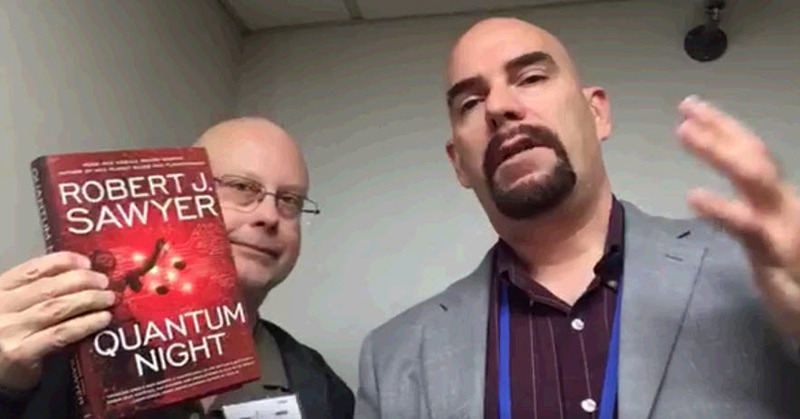 Rob talks about how he sold the North American rights for his twenty-third novel, Quantum Night, to Penguin Random House, but retained the rest of world rights and took advantage of Kobo Writing Life to publish the international eBook edition of the book. (Link to the book in UK used) He shares the wisdom of lower eBook prices, comparing his own global sales of the title at $4.99 USD version the $18.99 price point that Penguin Random House set. Creative Edge Publicity specializes in arranging events such as book signings, library or school presentations, or any event related to the arts in general. They represent many book events including When Words Collide and have a strong belief and advocate for the independent and traditional artist. In his role at Creative Edge supporting authors with their marketing efforts, Mickey shares some of the things his company does helping both traditionally published and self-published authors. Mickey offers advice on what authors should consider before approaching a marketing team for support for their efforts and the fact that there is always a unique approach for each individual author. Chris (C.C.) Humphreys has acted all over the world and appeared on stages ranging from London’s West End to Hollywood’s Twentieth Century Fox. He has written ten historical novels, including the most recent Plague and Fire. Tales of religious fundamentalist serial killers set against the wild events of 1665 to 1666, London, Plague won Canada’s Crime Writers’ Association Best Crime Novel Award, the Arthur Ellis in 2015. In the Summer of 2016, both novels spent five weeks in the Globe and Mail Top Ten Bestseller list. Along with being a bestselling author, Chris is also a stage, film and television actor, who shares some tips for writers on doing public readings of their work. He suggests that an author’s goal in doing a reading should be to really engage with that audience and also to remember that the audience is there to “love” and cheer for the author’s success. He also suggests selecting a passage that is active and character driven as well as modulating the tone of their voice throughout the reading. Mark then talks about the concept of authors taking full advantage of both traditional publishing and independent publishing opportunities, going into a full breakdown of the revenues earned from a single short story of less than 900 words. "Almost" the story in question, appeared in several self-published collections but also is contained in Bumps in the Night, One Hand Screaming and the Crimes, Capers & Rule-Breakers Bundle. but he also sold non-exclusive reprint rights to the story to McGraw-Hill Ryerson for their iLit program. Based on the fact that the professional rate for a short fiction rates is typically somewhere in the $0.05 to $0.6 per word range for most writers, Mark calculates what the per word earnings for this story have been, landing somewhere between $0.40 and $1.15 per word depending on the various income streams for that story. Ultimately, a story whose original pro fiction rate sale would have been approximately $44.00 ended up earning more than $1000.